Zeus and Darkseid begin to battle it out in the jungle. 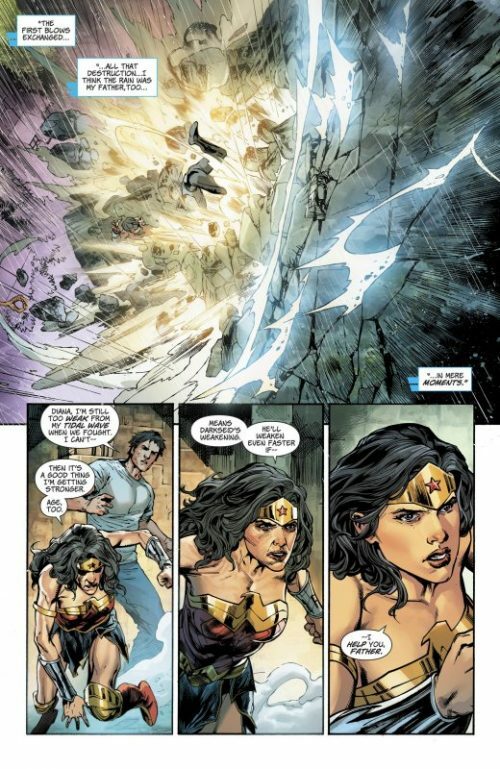 Jason tells Wonder Woman that he is still too weak from having summoned the Tsunami to originally defeat her and cannot assist their father. 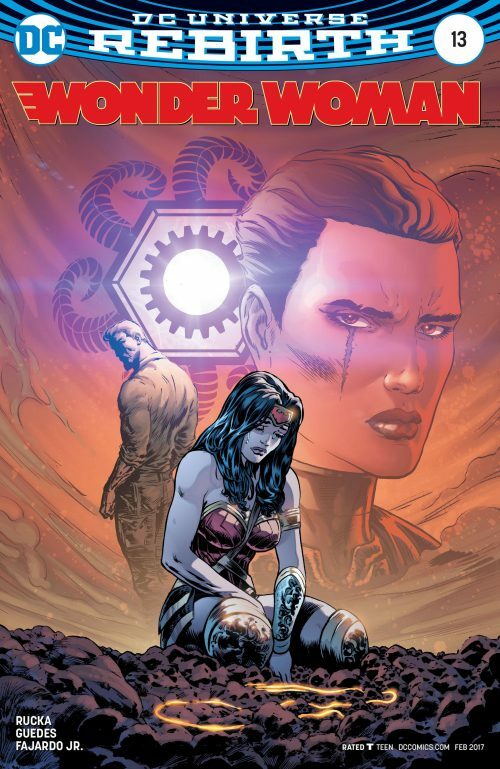 But the Amazon Princess begins to quickly recover and says to leave Darkseid to her. Grail tries to stop her but Jason tackles her to the ground and tells his sister to go and help Zeus while he takes care of Grail. 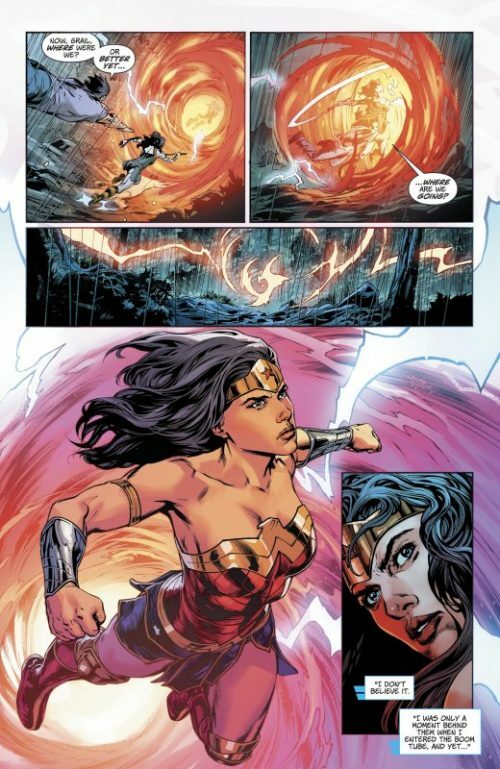 But as Wonder Woman races away Grail manages to break free, vowing that she will not rest until her father is once more restored to the throne on Apokolips. As Diana nears the scene of the battle Darkseid summons a boom tube and the combatants disappear into it. 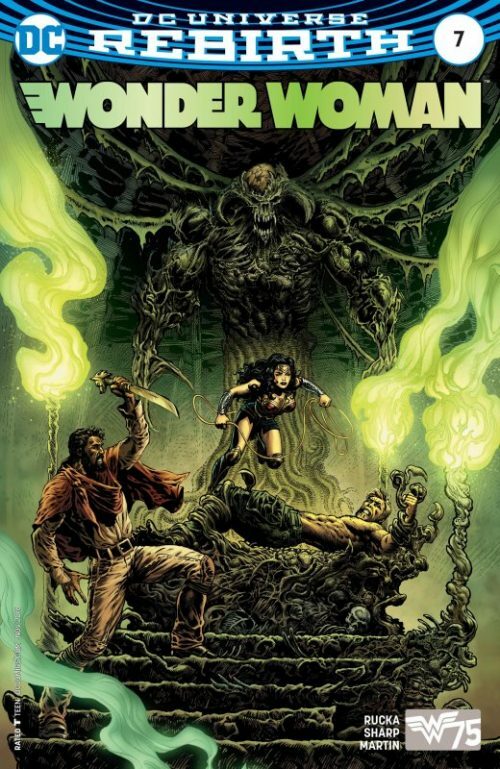 Wonder Woman races after them before it closes and still grappling with Grail, Jason tells her that perhaps they should all see what’s on the other side before hurling them both through. 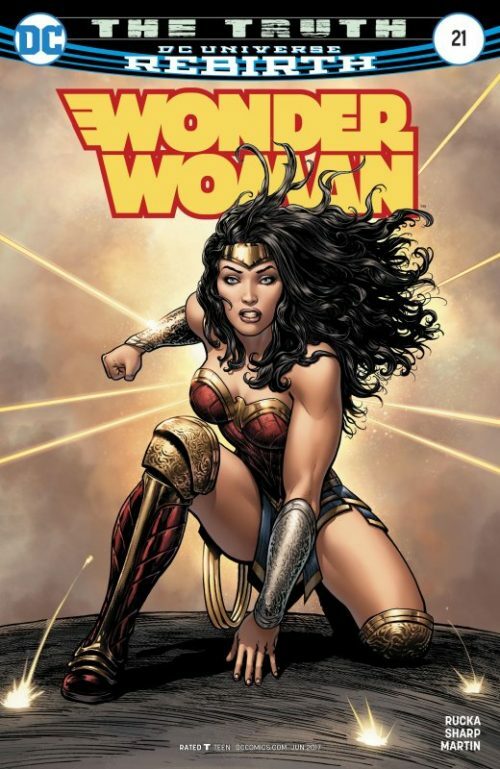 Wonder Woman emerges in the city of Manilla in the Philippines where there is already much destruction as the two gods continue their battle. Darkseid tells Zeus that his plan was never about just killing the God’s children and draing their powers – and it was not even about Diana. 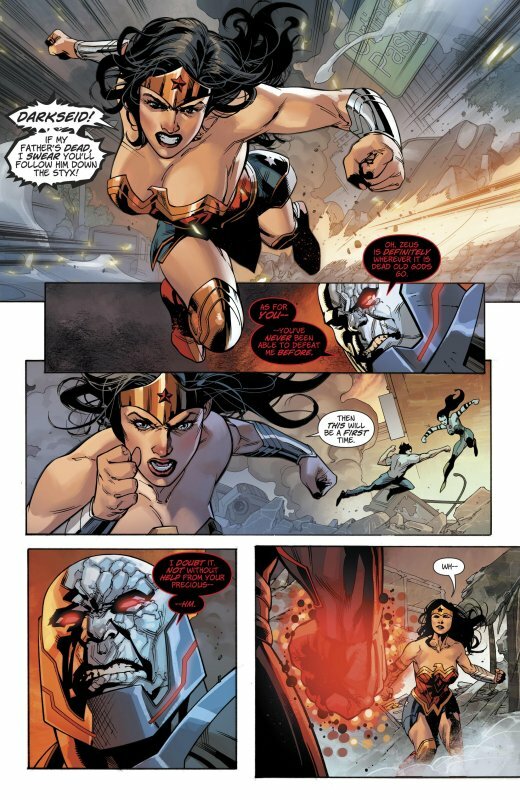 As Wonder Woman joins the fight and punches Darkseid he welcomes her to the battle, saying he thought she would show up eventually. But he shows the carnage around her and says that she needs to focus on what she does best – saving innocents lives. She knows he is right and has to break off and help the citizens of Manilla. Darkseid once more turns his attention back to a weakening Zeus and grabbing him, begins to drain his life force, telling the shocked God that his children had all been simply bait to lure the real target out – Zeus himself. Jason sees what is happening and still grappling with Grail, tells Wonder Woman to help save their father. 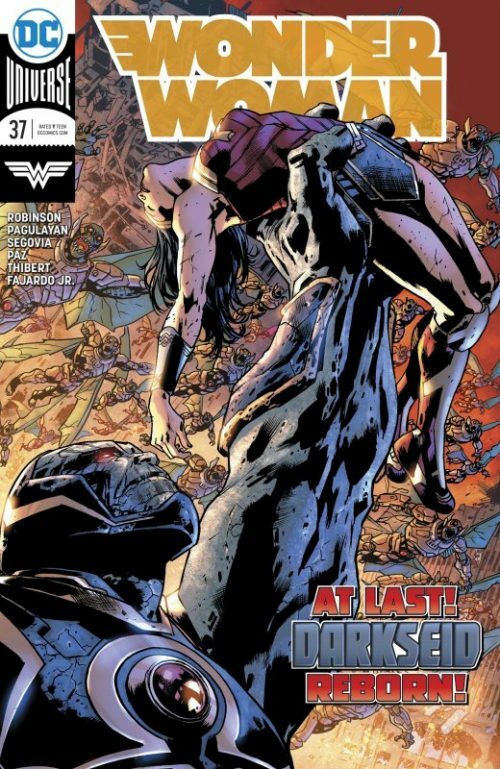 But too late Wonder Woman turns to see a now fully restored Darkseid standing over the corpse of Zeus! 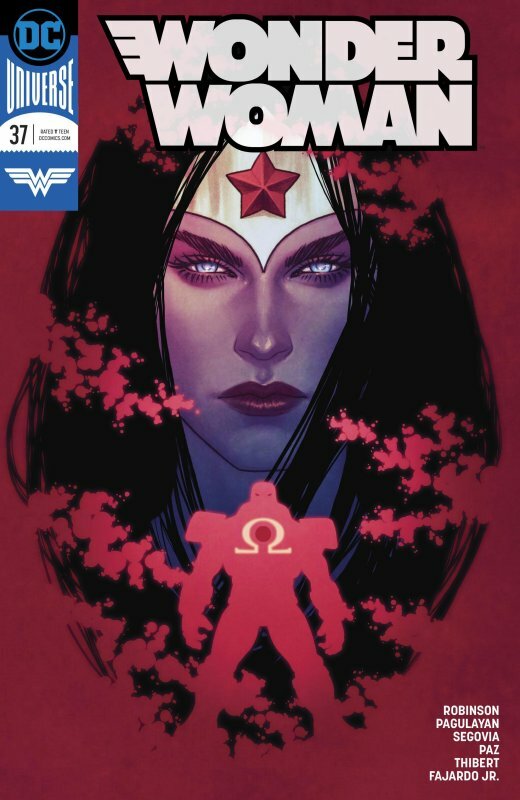 A furious and distraught Wonder Woman launches herself towards the New God, vowing to kill him but Darkseid reminds her that she has never been able to defeat him before and this will be no different. She vows that this time it will be different but he smiles and replies that he doubts it – not even with the help of her comrades. 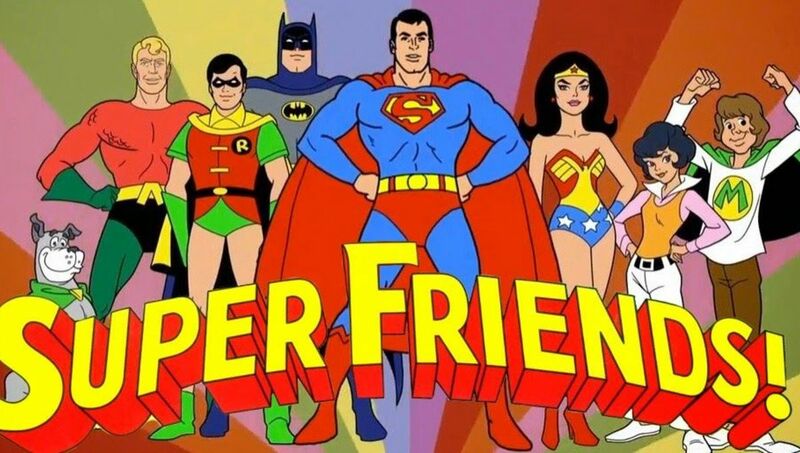 She turns to see that the Justice League have arrived to assist. But before she can say anything Darkseid continues that while he would love to test his new powers his end goal is too great to risk now and summoning Grail, they depart via a boom tube. 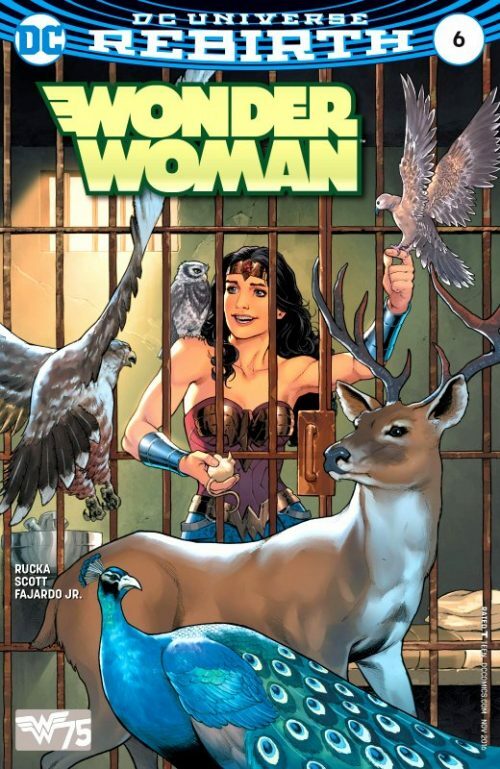 Wonder Woman tries to race after them but is too late. She knows that he colleagues from the league had arrived with good intention but she felt real anger at this pint for them having done so and denying her the opportunity to defeat Darkseid once and for all – which she is sure she could have done -given the chance. 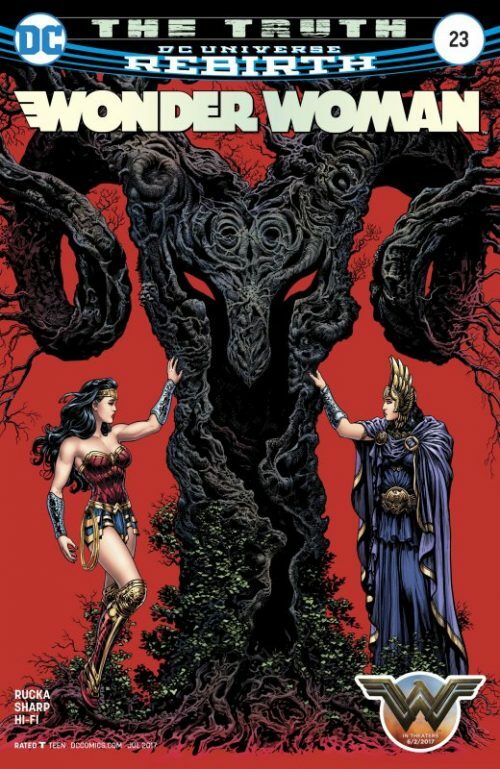 As Zeus’ body crumbles into dust Jason tells Diana how sorry he is for being such a fool and betraying her. She wraps her arms around him in sorrow and they hug each other as they both mourn the loss of their father.